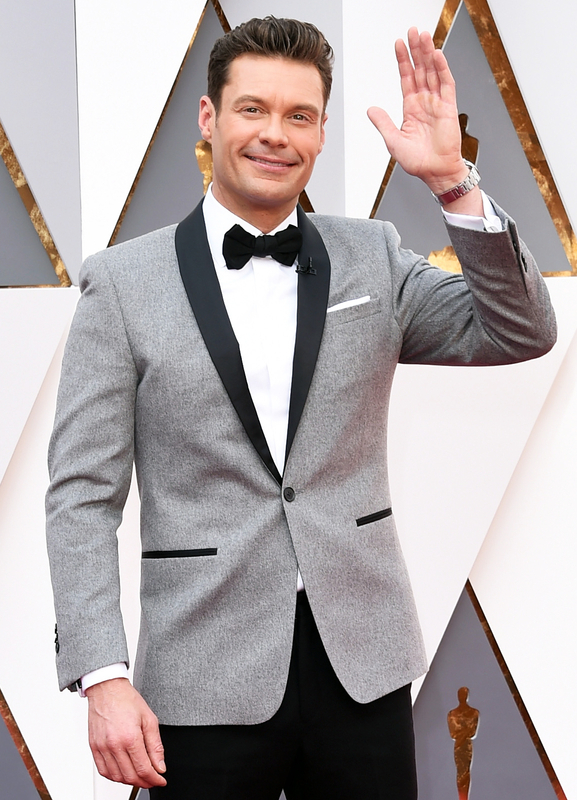 In celebration of Ryan Seacrest becoming Kelly Ripa’s new Live cohost, Us Weekly Video rounded up five things you may not know about one of the hardest-working men in Hollywood. Watch the video above! While it may not come as a shock, the 42-year-old is very, very wealthy. Forbes estimates that his 2016 earnings alone totaled $55 million! Thanks to his hosting gig on American Idol, his On Air With Ryan Seacrest radio show and executive producing Keeping Up With the Kardashians and its spin-offs, Seacrest’s estimated net worth is $350 million, according to AOL. But before the big paychecks started rolling in, Seacrest was just another guy trying to make a name for himself in Hollywood. In 2000, he guest-starred on an episode of Beverly Hills, 90210 as a fake game-show host, alongside Tori Spelling. Don’t worry — you can relive this glorious moment in the video! Several years later, he almost hosted Family Feud, but turned it down at the last minute for another show you might have heard of: American Idol. Seacrest, who originally auditioned to be a judge on the singing competition show, went on to host the FOX hit for fifteen seasons. For more about Seacrest — including and that time he was bitten by a shark — watch the video above.